newplannerrecruiting.com – Improve Your Business Today – Recruit, Train and Engage Top New Planners Today! Career seekers will receive monthly job openings and tips for success. Firm owners will gain exclusive insight on how to hire and retain talent. Click the section below that best suits you to get started. Learn the ins-and-outs of recruiting, hiring, and training talent. Caleb's new book, Successful Hiring for Financial Planners, has been released! 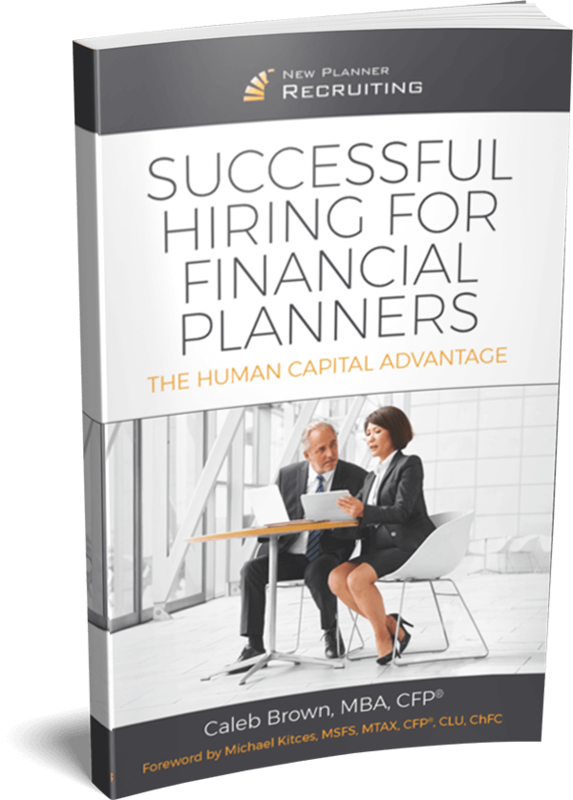 Successful Hiring for Financial Planners delivers a comprehensive plan to help your firm grow so you can serve the consumers who are in need of your guidance the most.